Huron Pizza House - Pizza Menu! 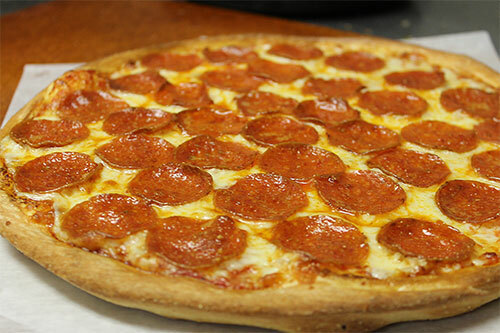 Hot Fresh Pepperoni Pizza! Pepperoni on top available upon request. Seasoned Grilled Chicken, New York Hot Sauce, Mozzarella, Side of Ranch. A pizza stuffed with Ricotta cheese, Mozzarella Cheese and up to 3 items of your choice! Served with marinara sauce on the side. Comes in Small, Medium Or Large sizes! A delicious way to enjoy your favorite pizza combinations in a unique sandwich form! Taco Meat, Pizza Sauce, Lettuce, Tomato, Onion, Mozzarella & Cheddar Cheese. ©2016 Huron Pizza House, All Rights Reserved.